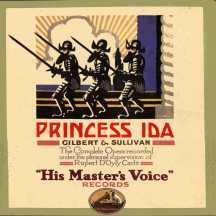 Princess Ida was relatively unsuccessful in its original run, and though it continued to be played on tour, it did not receive its first London revival until December 30, 1919. 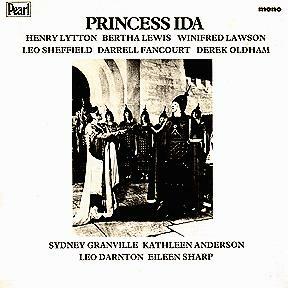 This recording includes four important singers who sang the same roles in the revival (Sheffield, Granville, Lytton and Lewis). 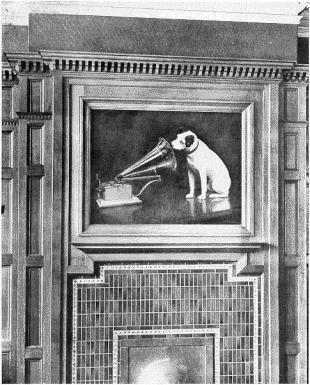 This was the first of HMV's complete sets to be led by a D'Oyly Carte conductor (Harry Norris) and marked the first time Henry Lytton sang a complete opera on the gramophone. In his fifty-year career career with D'Oyly Carte, Lytton played just about every bass and baritone role imaginable, but he is best known for his interpretations of the "patter" parts. Sadly, by the time HMV started using D'Oyly Carte singers, Lytton was judged to be past his prime, and he only got to record four of his roles. Also notable is Bertha Lewis's Lady Blanche. In later years, the Company routinely cut Blanche's solo, "Come, mighty must," and it appears here on record for the one and only time. (Apparently, the Company could find no more contraltos who could deliver the song as well as Lewis did.) Leo Sheffield's Hildebrand and Leo Darnton's Cyril have been described by Michael Walters as being the best on record. The remainder of the cast are all D'Oyly Carte singers, except for the Guron and Scynthius. 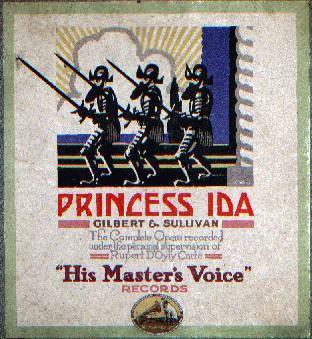 Robert Morrison reminds me that "Come, mighty must" was cut from the 1919 Princes Theatre revival onward, so it was probably included in this recording merely because an extra side was available for it. Morrison also disputes my explanation for the cut, observing that the J. C. Williamson Company routinely included the song in Australia, and that company included a number of contraltos, such as Dorothy Gill and Evelyn Gardiner, who had had distinguished careers with D'Oyly Carte. He sugests, "a more likely explanation for its excision by the D'OC is that the powers-that-be considered that it was an expendable song that brought the action of the second Act to a halt and contributed little to the opera's plot beyond character exposition." A fascinating, though not very important, point here is that when Darnton recorded Cyril he was singing, not with the main Repertory Company, but with the so-called "New Company," the smaller, No. 2 outfit, which wasn't even performing Princess Ida. In fact, Darnton is the only singer to record while with the New Company (Sidney Pointer was singing Cyril with the main company at the time.) Does this casting suggest that HMV planned the recording of Ida well in advance and had already selected Darnton as Cyril (and perhaps even given him a contract) before he was transferred (demoted, one might say) to the No 2 Company in July 1924? While the rest of the singers had an easy trip to the recording studios in October 1924, as the main company were playing in Golders Green, Darnton had to undertake lengthy train journeys from Newport in Monmouthshire on 12 October and to Cheltenham on 14 or 15 October, presumably with understudy Herbert Garry substituting for him. Similarly, for the retake on 23 February 1925, Darnton had to travel from Lancashire and have Garry deputise for him again, while Granville had only to come to London from Oxford and didn't need an understudy as he had no role in Ruddigore. 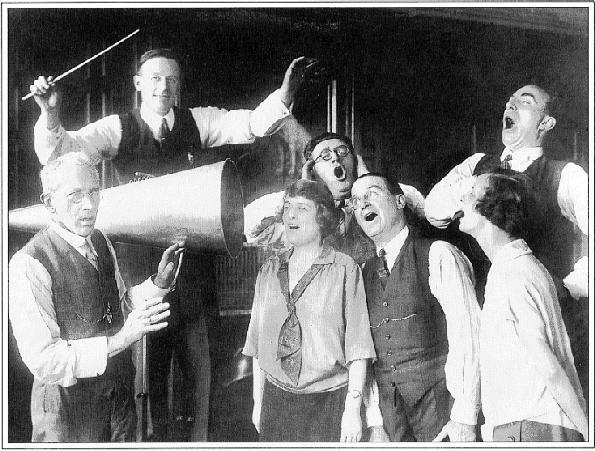 Pictured L. to R., are J. M. Gordon (stage director), Harry Norris, Winifred Lawson, Leo Sheffield, Henry Lytton, Eileen Sharp and Darrell Fancourt. 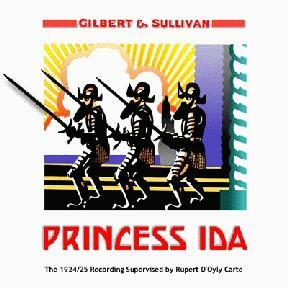 After this Ida, the Company evidently had plans to record The Sorcerer, Trial By Jury, and even Cox & Box. However, the age of electrical records had dawned, and the Company decided instead to start recording the operas over again using the new technology, starting with The Mikado. So, this would be the last G&S recording of the acoustical era, and the less-popular operas would have to wait a little longer for their turn in the recording studio. As shown below, Pearl re-issued this recording on LP. Three publishers have published CD transfers. Those by Chris Webster and Jim Lockwood are your best bets. Francis inadvertently omits side 3, but I have filled in the details from other sources. Francis says that George W. Byng conducts side 11; Harry Norris conducts the rest. Except for side 11, the recording was made over a six-day period in October, 1924. Side 11 was recorded on February 23, 1925. Given that this was a fourth take (indicated by the "-4" suffix on the matrix number), the logical assumption is that the side was recorded in October but was found unacceptable, so the three singers had to come in and redo it. Sides 5, 9 & 18 were included on Pearl's Art of the Savoyard, Volume 1. Sides 9 & 13 were included on Arabesque's LP reissue of the 1931 Ruddigore.